Fifty years after young people braved fire hoses and police dogs to end segregation in Birmingham, Ala., their courageous acts were commemorated in the nation’s capital last night as congressional staffers, SPLC members, civil rights advocates and journalists gathered for a screening of Teaching Tolerance’s Academy Award-winning documentary Mighty Times: The Children’s March. The documentary, which chronicles the story of how these children fought Jim Crow in 1963, was introduced by Chris Dodd, former U.S. senator and current president of the Motion Picture Association of America. The event at the MPAA also featured a panel discussion about the crucial role played by young people in the early days of the civil rights movement as well as the injustice that persists today. 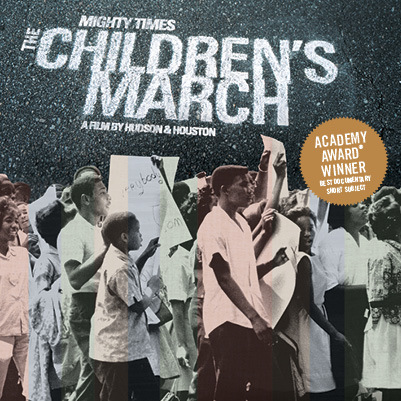 The Children’s March, which won an Oscar in 2005 for best short subject documentary, was co-produced by the Southern Poverty Law Center and HBO. It is the second Teaching Tolerance film to win an Academy Award. Since its release almost a decade ago, The Children’s March and a teacher’s guide has been sent, free of charge, to tens of thousands of schools across the nation through the SPLC’s Teaching Tolerance project. In the spring of 1963, the children of Birmingham took to the streets to end Jim Crow. From May 2 to May 10 of that year, more than 3,000 students went to jail for standing up to the rampant civil rights abuses in Birmingham, protests also known as the Children’s Crusade. They could no longer tolerate the injustice and deadly violence plaguing the city. From 1957 to 1963, there were 18 bombings in Birmingham. In 1957, the Rev. Fred Shuttlesworth was beaten with a chain by a mob because he dared to enroll his children in an all-white school. In 1961, a black man was dragged from the streets to a shack and then castrated. That same year, Freedom Riders were almost beaten to death when they arrived in the city. No arrests were made for any of these crimes. The Rev. Gwendolyn C. Webb was among the children protesting these injustices. Featured in The Children’s March and a panelist at the screening, Webb was 14 when she was arrested in Birmingham in 1963. She spent a week in custody at the city fairgrounds, charged with demonstrating without a permit. Today, she is the founder of Foot Soldiers International, a nonprofit dedicated to the eradication of violence, racism, domestic violence and poverty. Though the bravery of these children brought desperately needed change, the panel agreed that there is still much work ahead to address today’s injustices. Even in Birmingham, the SPLC has filed a federal lawsuit to stop the city’s police from using pepper spray on public school students as punishment for routine discipline matters. The SPLC has been unable to identify any other police department in the country that relies so heavily on the use of chemical weapons against students on school grounds. “We can best honor the sacrifice of the Children’s Crusade participants by providing access to fair and equitable educational opportunities for all children.” SPLC attorney and panelist Ebony Howard said of the center’s efforts in Birmingham.